I took a chance blind-renting this property and couldn't be happiersubmitted by Lisa L. - Mar 20, 2019 |Recommended: YesI love living here. It's affordable, and it's in a hip and happening area. The staff is extremely friendly and the facilities are state of the art. Fun bars and restaurants surround us. There are some noisy nights, especially first Fridays, but that's what you get when you pick the fun areas At illuminate I feel like I've got the perks of living downtown without the exorbitant cost that comes with some of the nearby complexes. Thumbs upsubmitted by Noah P. - Dec 05, 2018 |Recommended: YesIf facing north, wonderful views and landscapes of mountains. Clean building with friendly neighbors. One of the newer competing residencies to live in. Great artistic living in the heart of the citysubmitted by William K. - Dec 03, 2018 |Recommended: YesLocation is amazing, size of the community makes for a more social feel, the area's diversity of experience and culture is invigorating. The staff have been friendly, you feel welcomed. Nice apartment in great neighborhoodsubmitted by Justin W. - Jun 19, 2018 |Recommended: YesVibrant and developing neighborhood with lots of restaurants, bars, movie theaters, etc. within walking distance. Building is rather new and kept up very nicely. Nice amenities including gym, pool, Starbucks coffee, rooftop deck is a nice place to hang out. Great downtown apartmentsubmitted by Lauren P. - May 28, 2018 |Recommended: YesClose to downtown attractions. Good amenities. Friendly staff. Clean, urban, and progressive apartment complex.submitted by Nathan W. - Jul 24, 2017 |Recommended: NoiLuminate is solid for a medium-sized apartment complex. It is clean and well-maintained. The kitchens in all the units are beautiful and all the appliances are great. You can tell they appreciate high quality construction. I like that they integrate themselves into the community Roosevelt with the artwork stylish building colors. I also appreciate the pool area as well as the gym. Both are top notch for an apartment complex it cuts out the cost having to pay for a gym membership. The people are warm and friendly.  I would definitely recommend iLuminate to anyone moving to the Phoenix area and looking to live in a fun up coming area with a welcoming community leasing office.